Over millennia restless and relentless geological forces have shaped Patagonia. Rising from the South Atlantic shores towards the Andes, barren shingle-covered plains jump up 100 metres high at a time in 13 abrupt terraces. As you get closer to the mountain range the shingle gives way to granite and basalt lava and the snarled grass is joined by thicker vegetation with southern beech and conifer trees. The region covers around a million square kilometres mostly in Argentina but also across the border into Chile. It has desolate and beautiful expanses, one of the world’s loneliest roads (Ruta Nacional 40), jagged peaks, beautiful rivers, massive glaciers, and a true sense of being on the edge of the world. 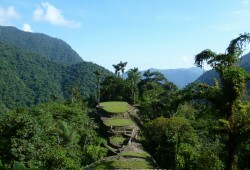 This is an ecotourism and adventure tourism paradise. You can see whales, penguins and seals in Peninsula Valdés, watch the world’s smallest dolphins, and stop for tea with the Welsh community in Gaiman. Bariloche sits amid lakes, forests, and mountains, and is South America’s most important ski-centre. There are petrified forests to see. You can ride horseback across vast landscapes and stay in traditional wooden cabins with firewood stoves. In Los Glaciares National Park sits one of the world’s largest non-polar ice-fields, with no less than 47 glaciers. You can trek on Glaciar Perito Moreno, or take a boat ride on Lago Argentino. It is certainly not your average holiday. To get you inspired, take a look at the Journey to the End of the World Adventure, which includes Bariloche, El Calafate (for Perito Moreno Glacier), Torres del Paine, Ushuaia and Peninsula Valdés. Our trusted local partners will help you bring together Patagonia’s amazing attractions in a personalised itinerary. To send a travel enquiry for Argentinean Patagonia (Peninsula Valdes, Bariloche, El Calafate, El Chalten, Perito Moreno Glacier, Ushuaia, etc. ), please visit the Argentina destination page. To send a travel enquiry for Chilean Patagonia (Chiloé, Aysen, Torres del Paine, Puerto Williams, etc), please visit the Chile destination page. 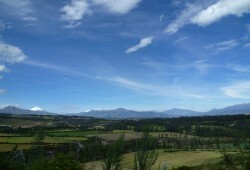 Chile is a country with incredible amounts of beautiful landscapes. 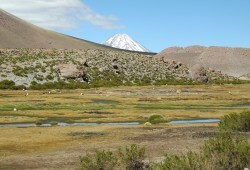 With our different tours to Chile we already offer a trip to the south of the continent. Now you will have the possibility to travel to the southernmost city in the World, Puerto Williams. This tour will give you a taste of the Yagan culture and the surreal nature around. Hiking, kayaking, gastronomy and culture are just some of the activities take you’ll have the chance to try. Enjoy the distinct flora and fauna, which is representative for the cold, wet and icy climate. 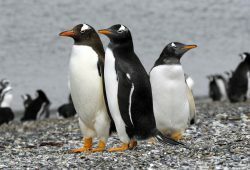 To explore this region you fly from Punta Arenas. We’ll arrive to Puerto Williams at 11h30 approx. on a flight from Punta Arenas. Upon arrival, we will go to the town-welcoming hostel where we’ll stay. After settling in, we’ll go to Villa Ukika, the village where the Yagan community was moved by the Chilean government about 50 years ago, changing their life from sailors to “urban inhabitants”. There, we will meet representatives of the community, while enjoying a delicious lunch; an introduction to their history and culture will be given. In the afternoon, we’ll visit the Martin Gusinde Antropological Museum, a place that exhibits the most important aspects of Yagan culture, people and their ancestors; and of western settlement of the southern tip of America. After visiting the museum we’ll take a nice afternoon snack and we’ll go to the hostel. Today we will learn about the Yagan culture on site. After breakfast, we will go to Mejillones Bay, where we’ll visit some conchales (middens), ancient settlements and archaeological sites, places that tell us how Yagan people lived thousands of years ago. We will also have the privilege of visiting the Iaxau (Chiejaus). A Yagan ceremonial construction, in which young people passed from childhood to adulthood in a ritual in which tools and values where delivered to their new stage. We will enjoy a nice lunch prepared with seafood in Mejillones Bay. And then visit the old cemetery nearby. Early morning after breakfast, we’ll undertake the adventure of hiking up La Bandera (The Flag) hill. Your body will activate as we reach the Chilean flag crowning the summit around a thousand feet above sea level. Enjoy the breath-taking panoramic views of the Beagle Channel and part of Navarino Island. We’ll recover our energies with a delicious lunch at Puerto Williams. In afternoon we will venture into the sea. Cruising on sea kayaks we will cross the bays near Puerto Williams and observe the different birds that inhabit these southern shores. Today our journey comes to an end. Depending on the time of your flight back to Punta Arenas we will leave towards the airport.